“An Ancient Journey of Redemption” is the title of the post on EA.com for the event that will bring Jedi Knight Revan to Star Wars Galaxy of Heroes. With an aggressive start date of October 18th that will surely leave 99.5% of SWGoH players in the dust, the star of Star Wars Knights of the Old Republic, aka the “Hero who led the Jedi to victory against the Mandalorians in the ancient war and the Savior of the Republic faced down the armies of Mandalore and took their leader’s mask,” will be available in the new event next week. Requirements for the event include a 7-star Bastila Shan, Jolee Bindo, T3-M4, Mission Vao and Zaalbar – all characters added to the game in July and August and just made farmable in recent weeks. More event details and info on packs available are listed on the official SWGoH EA.com forum. 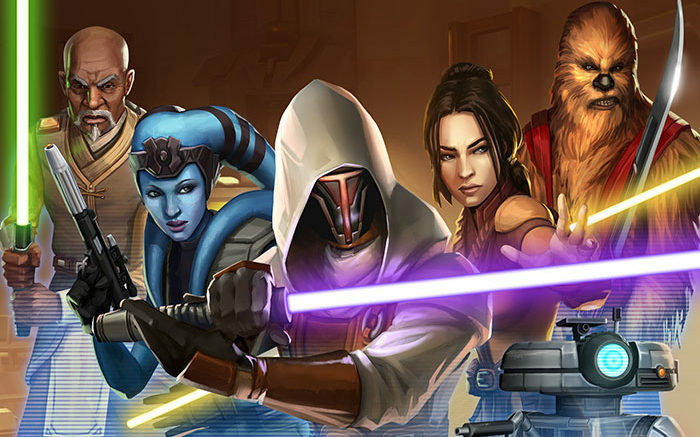 Be the first to comment on "SWGoH: Jedi Knight Revan Event Details Released"